Here's another beauty from Ralph & Sandy. 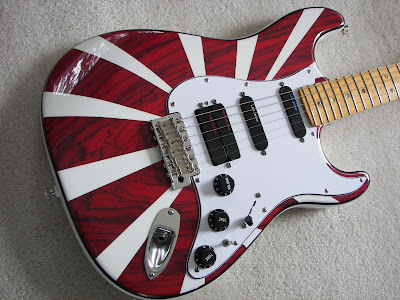 I dunno if this was a natural finish that they added the white to, or a white Strat they stripped down in sections. Probably the first one. They do nice lookin' work!